This edited collection draws on case studies from around the world to shed light on the sometimes contentious topic of populism. 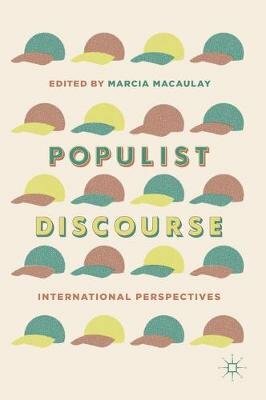 Examining diverse contexts including North America, Latin America, Europe, New Zealand, and Russia, the authors employ different approaches to populist discourse to analyse key notions in populism such as `the people' and `the heartland' as well as the exploitation of medium and narrative. Each of the chapters in this book explores an aspect of the way in which populism constructs a political reality, with reference to such high-profile examples as Donald Trump, Bernie Sanders, the Scottish National Party, Hugo Chavez, Vladimir Putin, Barack Obama, and Winston Peters. This book will be of interest to students and scholars of both discourse analysis and political science.